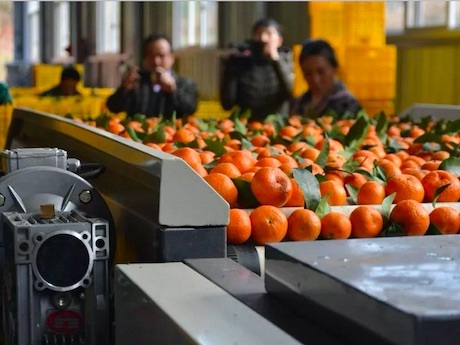 The trade in Shatang tangerines has been slow as a result of lower temperatures and less sunshine since November, 2018. The current retail price is 1.6-2.5 yuan [0.24-0.37 USD] per 0.5 kg. This is slightly lower than last year. The weather in large parts of China is warming up again since January 22nd, and rainfall is relatively scarce. These conditions are ideal for the harvest of Shatang tangerines in south China and for the supply of consumer markets. The purchase price in production areas is around 2 yuan [0.30 USD] per 0.5 kg, while the wholesale price in north China is around 3 yuan [0.45 USD] per 0.5 kg. The supply volume is gradually growing and farmers are eager to sell their harvest before the market becomes saturated. While the price of premium fruit is still stable, second-grade fruit faces growing difficulties. 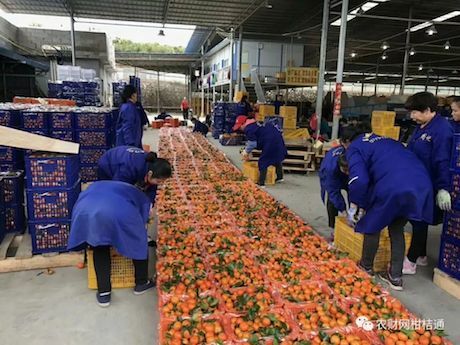 People still buy tangerines as gifts for Chinese Spring Festival [February 5th, 2019], but once the holiday is over, second-grade Shatang tangerines are expected to experience even more sales difficulties. Temperatures are expected to fall again around January 31st, 2019. North China will experience snowfall and south China will experience lower temperatures and increased rainfall. Farmers are rushing to secure their harvest before the weather turns. The supply volume around Spring Festival is already huge, so additional supply is unlikely to make waves, but after the holiday is over and the weather turns cold, the market is likely to experience fluctuations.